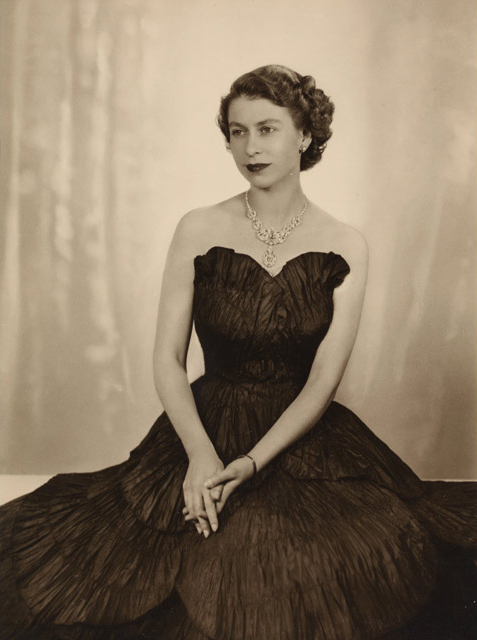 To mark The Queen’s Diamond Jubilee in 2012, the National Portrait Gallery will stage an innovative touring exhibition bringing together 60 of the most remarkable and resonant images of Elizabeth II spanning the 60 years of her reign – some on public display for the first time. The Queen: Art and Image will tour to British venues before being shown in London, opening in Edinburgh in June, Belfast in October and Cardiff and London in 2012. From Beaton and Leibovitz to Annigoni and Warhol, The Queen: Art and Image will be the most wide-ranging exhibition of images in different media devoted to a single royal sitter. Formal painted portraits, official photographs, media pictures, and powerful responses by contemporary artists will be shown in an exhibition which explores both traditional representations and works which extend the visual language of royal portraiture. Posted on January 25, 2011 . This entry was posted in For everyone, Uncategorized and tagged portrait, portraiture. Bookmark this article.